The Jourdanton Mighty Indian Band has been hard at work preparing for their upcoming UIL Marching Contest in Hondo this Saturday, Oct. 13. On Sept. 29, the band took second place in the AAA Division at the Hill Country Marching Festival along with the Best Percussion and Best Drum Major awards. This past weekend, the they took first place overall in the AAA division at the Harlandale Marching Festival with superior ratings and best overall percussion. 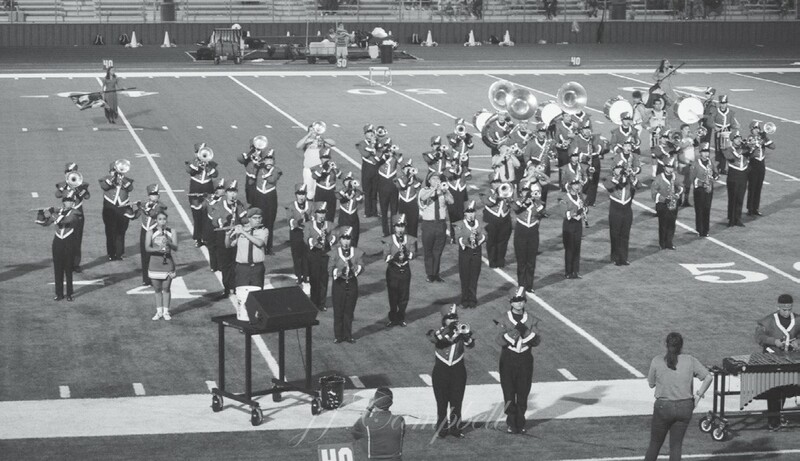 The band has worked for almost two months to perfect this year’s show entitled “Carpe Somnium: Rise above the Fear.” In their performance, they tell the story where one must overcome fear to turn a terrifying nightmare into a joyful dream. Their goal is to prepare for next year’s state competition and get Sweepstakes at UIL, meaning they would receive Superior Ratings not only in marching, but in concert and sight-reading as well. 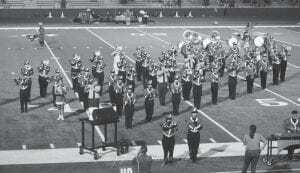 Good luck to the Mighty Indian Band as they compete in Hondo this Satur day afternoon at the UIL Marching Contest!